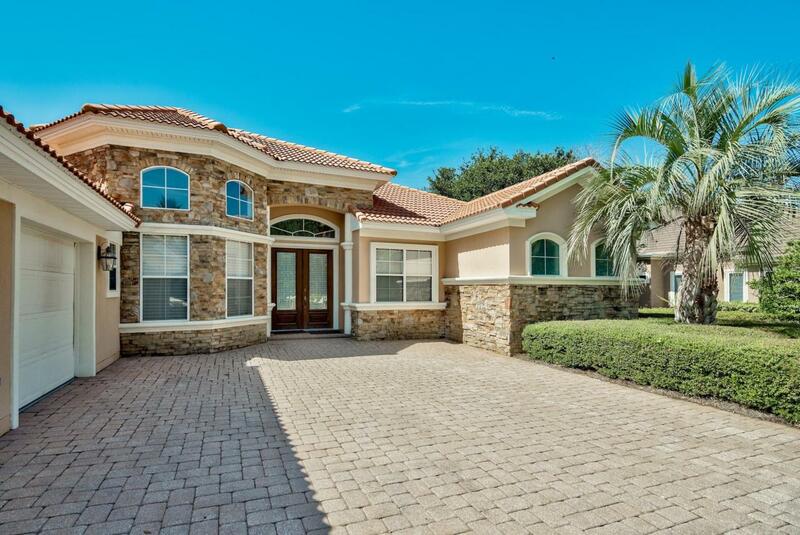 This upscale home in highly desirable Kelly Plantation is a must see! 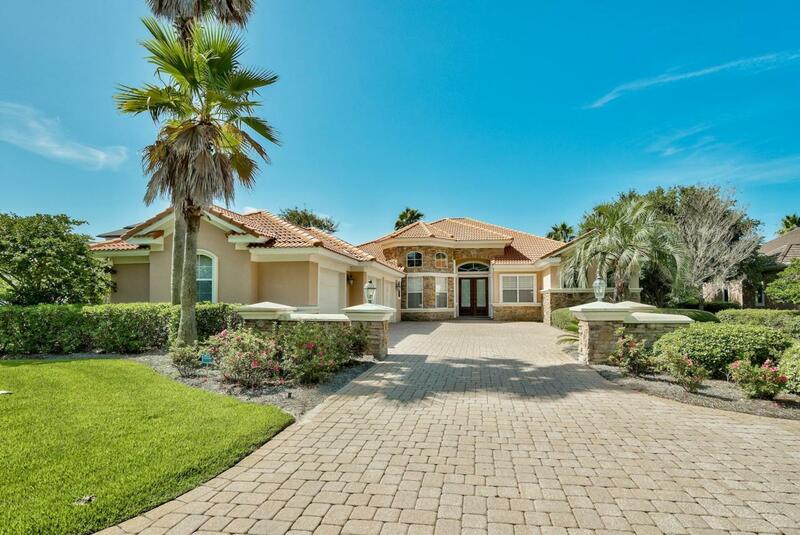 Spacious and grand, the home sits on a large .61 acre lot overlooking the 13th fairway, green, & lake of the prestigious Kelly Plantation Golf Course, and all a short golf cart ride to the beach. 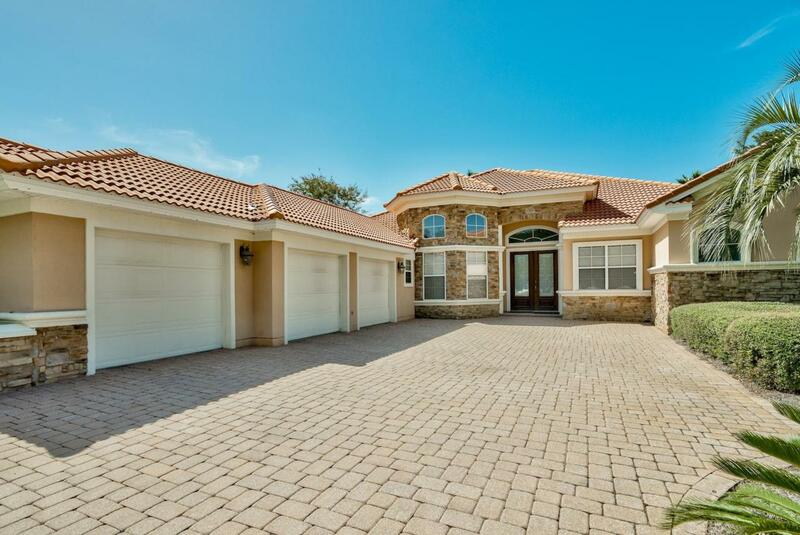 Featuring a newly constructed enclosed pool and grand spa, tile floors and granite countertops, a three car garage, and a cozy gas fireplace, this home has everything you could dream of! The luxurious master suite will make everyday feel like a vacation from the comfort of your own home. Three additional bedrooms plus an office/study round out the home and provide plenty of space for the entire family. Updates abound! The pool and spa patio enclosure is brand new, and all pool equipment is less than a year old.